This beautiful 5/3 Triple split floor plan cul-de-sac residence lies on an oversized lot within the sought after Aero Club community. An updated kitchen with new granite counters and stone backsplash, and all stainless steel appliances. Wood floors throughout. Tranquil well-landscaped backyard with beautiful pool and spa. 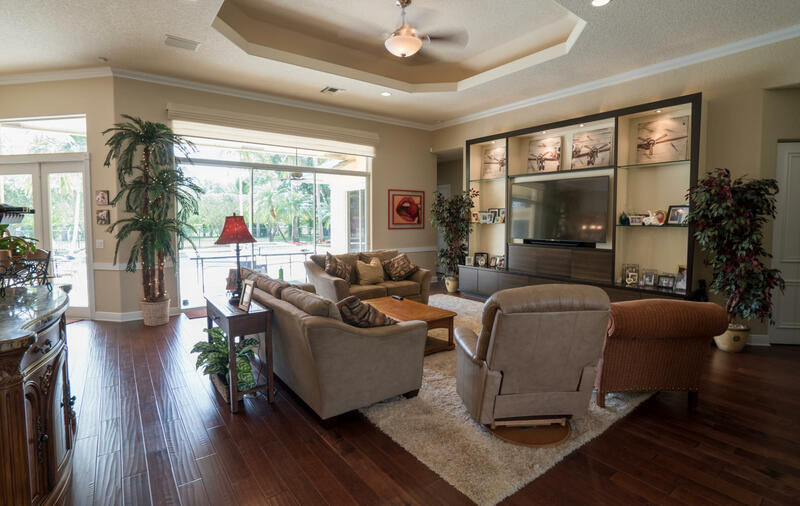 A large covered patio with spacious outdoor sitting area for entertaining. Dont miss this great family home Golf cart distance to Wanderers Country Club and the Horseshow.